Central FC forward Rundell Winchester had three goals to his name on Tuesday night, leading his side to a 3-0 win over Point Fortin Civic FC in the second match of a Digicel Pro Legue Round One Match Day Four double header at the Ato Boldon Stadium. League leaders DIRECTV W Connection were also in winners' row at the Couva venue, defeating North East Stars 2-0 in the first match, and extending their lead at the top of the standings with a maximum 12 points from four matches. Point Fortin remains second on the standings with 9 points from four matches, while Central moved up a spot into third with 7 points from three matches, the Stars down a spot into fourth with 6 points from four matches. 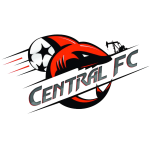 “To be quite honest, I thought we were much better and stronger [than Point Fortin],” Central FC head coach Terry Fenwick told ttproleague.com. “But I’m quite disappointed in the chances that we gave them. The match could have been 7-3 because of all the chances on both sides. But I like the way we are shaping up. We have played all of the top teams in the league, whether it’s in the league or knockout, and we are still undefeated. 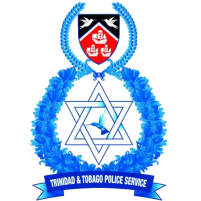 Police FC climbed two spots up into 5th position, with 4 points in as many matches, with its first win of the league championship on Tuesday by defeating San Juan Jabloteh 4-2 in the first match of a double header at the Hasely Crawford Stadium. Akiba Peters scored a double, netting in the 9th and 30th minutes, for the “Lawmen” following Todd Ryan’s early opening item in the 2nd minute, and substitute Dwayne Salazar wrapped up the scoring in stoppage time. 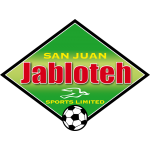 Former Police FC defender Jevon Morris scored in the 45th minute for the now sixth positioned Jabloteh, and leading goalscorer Kerry Baptiste—with 8 goals in all competitions—converted from the penalty spot in the 69th minute, making up for an earlier penalty miss, but couldn’t rescue the San Juan club, coached by policeman, Keith Jeffrey. 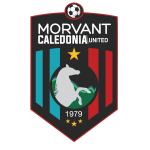 In the second match of the Mucurapo Road venue double header, Caledonia stretched its winless streak to nine matches in all competitions—Concacaf Champions League, First Citizens Cup and the Digicel Pro League—this season after going down 3-2 against Defence Force. Defence Force target-man Devorn Jorsling finished with a double, hitting the back of the net in the 41st and 82nd minutes, and teammate Ross Russell Jr. with an item in the 72nd minute to better Caledonia—which dropped two spots into eight position with just 2 points from four matches. Jamal Gay scored very early on either side of the half, in the 2nd and 47th minutes, but his double wasn’t enough to break the Jamaal Shabazz coached—Caledonia poor run of form. 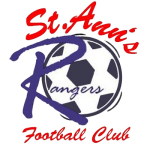 Army moved up a spot to occupy seventh position on the ladder with its first three points, while inactive St. Ann’s Rangers, coached by Gilbert Bateau, sits at the bottom of the nine-team standings without a point from three matches. At the top of the table, Jerrel Britto fired the Stuart Charles Fevrier coached Connection ahead, 1-0, in the 67th minute when he guided a squared pass by Brazilian right-back Joao Ananias Jordao Jr. past defender Kareem Moses and through the legs of Stars’ goalkeeper Cleon John, who was shadowed by his teammate. 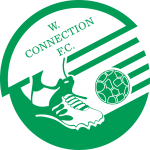 John was beaten again in the 71st minute, and Connection celebrated a 2-0 cushion, and the eventual full time score, after a superb left footed blast from distance by Joevin Jones flew past a fully stretched Stars’ goalie and into the upper corner. Earlier John had made stops against Jones in the 27th and 43rd minutes, but just couldn’t get glove to Connection utility player’s trademark strike from distance. Connection had the first good look at goal in the 11th minute of play, but with the far netting at his mercy, Colombian Camilo Ortega Andres Diaz struck inches overbar. Diaz had another opportunity in the 34th minute, and again failed to hit the target when he guided a square Britto pass wide of the upright. Stars’ Tobagonian forward Trevin Caesar had his team’s best two efforts, hitting just overbar in the 29th minute, and in the 54th minute, the speedy forward’s decent strike from just outside the area was measured superbly by a fully stretched Connection goalie, Julani Archibald, who guided it out for a corner. In the second match at the central venue, another Tobagonian was the hero though. Nineteen year-old Winchester, coming off his first Trinidad and Tobago Senior Team appearance in a 0-0 draw against New Zealand last week Tuesday, and his MVP performance in a 2-1 win over Defence Force in the Final of the 2013 First Citizens Cup last Friday, is on a roll. The lanky forward equipped with deceptive speed, made up for a 13th minute miss from an angle, by putting Central ahead 1-0 in the 22nd minute, hitting past Civic’s third choice goalie Miguel Payne, after the usually solid Point Fortin defense failed keep out a Marvin Oliver pass across the area. Seconds inside the second period, Winchester—who set up an equalizer and scored the winner in the First Citizens Cup Final—swooped in following a mix-up in the Point Fortin defense to guide a shot into an open net for a 2-0 cushion. Winchester later won his hat-trick, and his 30-0 score, in the 49th minute, when referee Michael London ruled that the Tobagonian’s header off a Marcano free-kick from the right had crossed the line before Payne stopped the ball. Point Fortin head coach Reynold Carrington reacted almost instantly by throwing in three new players in attack—replacing defender Lyndon Andrews with attacker Bevon Bass, Sylvester Teesdale for Matthew Bartholomew and Glen Sutton for Andre Alexis—but that too didn’t help the southerners. Despite pulling off a decent diving save to deny Marcano in the 20th minute, goalkeeper Payne clearly wasn’t the goalkeeper for the occasion, while Point Fortin number one, Marvin Phillip, watched on from the substitutes’ bench. A statement is imminent for the decision to demote the T&T second choice goalie and former Central FC employee to the bench on Tuesday night. Point Fortin substitute Bevon Bass had an excellent opportunity to pull one back for the visitors back by its traveling posse in the 58th minute, but his effort towards goal after rounding goalkeeper Jan Michael Williams was miraculously cleared wide at the goal-line by Central’s hard-man Jamal Jack. Central too, failed to make best of an excellent opportunity in the 64th minute, when one minute after replacing Johan Peltier, substitute Keon Trim struck the upright with the goal at his mercy after a Darren Mitchell break on the right. As for Point Fortin, Andre Toussaint had his side’s last promising attempt in the 73rd minute, however his diving effort from inside the area couldn’t direct a Weslie John cross on target. Point Fortin will visit the Ato Boldon Stadium again on Friday to tackle leaders W Connection in a Round One Match Day Five top of the table clash from 8pm, and two hours earlier at the same venue, Central FC will host Police FC from 6pm. 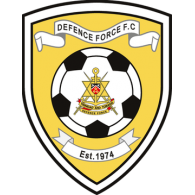 On Saturday defending champions Defence Force will meet St. Ann’s Rangers from 5pm at the Marvin Lee Stadium, and Caledonia AIA against San Juan Jabloteh from 7pm at the Macoya venue. W Connection—18. Julani Archibald, 10. Joevin Jones (Yellow Card) (11. Tremain Shayn Paul 88th), 2. Kurt Frederick, 3. Gerard Williams (capt. ), 4. Daneil Cyrus, 12. Camilo Ortega Andres Diaz (13. Devaughn Elliot 61st), 14. Hashim Arcia, 15. Mekeil Williams (Yellow Card), 24. Joao Ananias Jordao Jr., 31. Jerrel Britto, 40. Jomal Williams (Yellow Card). Unused substitutes—22. Aquelius Sylvester (G), 17. Jamal Clarence, 19. Leslie Joel Russell, 39. Alvin Jones. 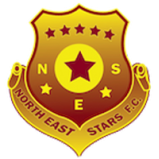 North East Stars—22. Cleon John (C), 2. Kareem Moses, 20. Trevin Caesar, 6. Micah Lewis (11. Anthony Wolfe 46th), 7. Elijah Manners (6. Jeromie Williams 75th), 12. Jayson Joseph (Yellow Card), 19. Glenton Wolfe, 24. Marcus Gomez, 23. Kennedy Hinkson (Yellow Card), 9. Akiel Guevara (5. Aquil Selby 46th) (Yellow Card), 4. Keithy Simpson. Unused substitutes—1. Stephan Berkeley (G), 25. Keryn Navarro, 37. Neil Mitchell, 39. Andrew Smith. Central FC—21. Jan-Michael Williams, 7. 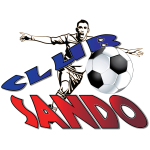 Jason Marcano (capt.) (18. Kevon Goddard 80th), 3. Keion Goodridge, 6. Toric Robinson, 10. Marvin Oliver, 11. Darren Mitchell (9. Dwight Quintero 72nd), 12. Jamal Jack, 13. Johan Peltier (22. Keon Trim 63rd), 17. Rundell Winchester, 19. Dwight Pope, 24. Akeem Benjamin. Unused substitutes—25. Javon Sample (G), 5. Julio Noel,15. Kaydion Gabriel, 16. Akil DeFreitas, 22. Keon Trim. 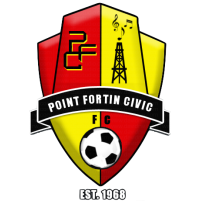 Point Fortin Civic FC—22. Miguel Payne, 6. Kelvin Modeste (capt. ), 2. Garyl Doldron, 3. Lyndon Diaz (14. Bevon Bass 51st), 4. Weslie John, 5. Andre Ettienne, 11. Andre Toussaint, 19. Andrei Pacheco, 15. Keron Neptune, 9. Matthew Batholomew (20. Sylvester Teesdale 51st), 21. Andre Alexis (17. Glen Sutton 51st). Unused substitute—1. Marvin Phillip (G), 29. Kevon Rouse, 18. Akeem Redhead, 23. Kelvin Hernandez.